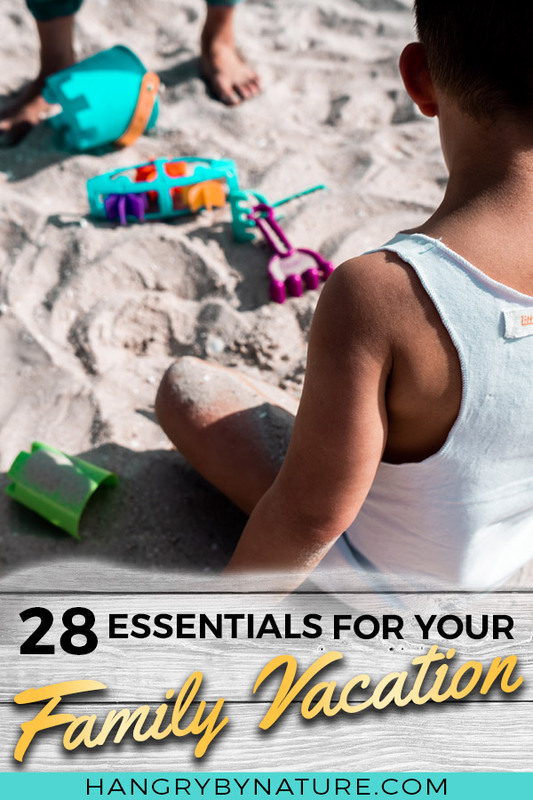 So, you're hitting up the tropics with your tiny human squad and need to get organised with a family beach vacation packing list? I gotchu, boo. First off, my fellow parentals, I congratulate you for making plans to leave the house. That is a feat within itself. A glorious one, some might say. Secondly, prepare yourself mentally for a trip to the beach with kids. It's gonna get messy - sand will be ingested, someone will wind up looking like a lobster (in most cases - me), tempers will flare, and someone is gonna end up in tears (also, me, in most cases). 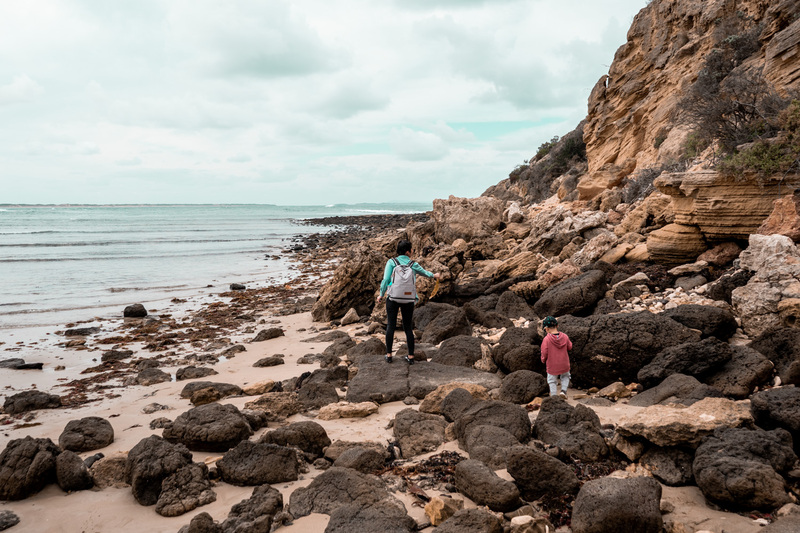 I could rant about the woes of travelling with kids all day long, or you can read about it in my hilarious (cos I like to think I'm funneh) comparison of Holidays Before VS After Kids. 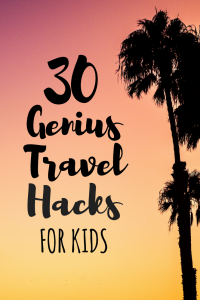 So, we've established that travelling to the beach with kids in tow (or anywhere, really) is a tricky task - but, today, I'm here to alleviate one part of the burden. 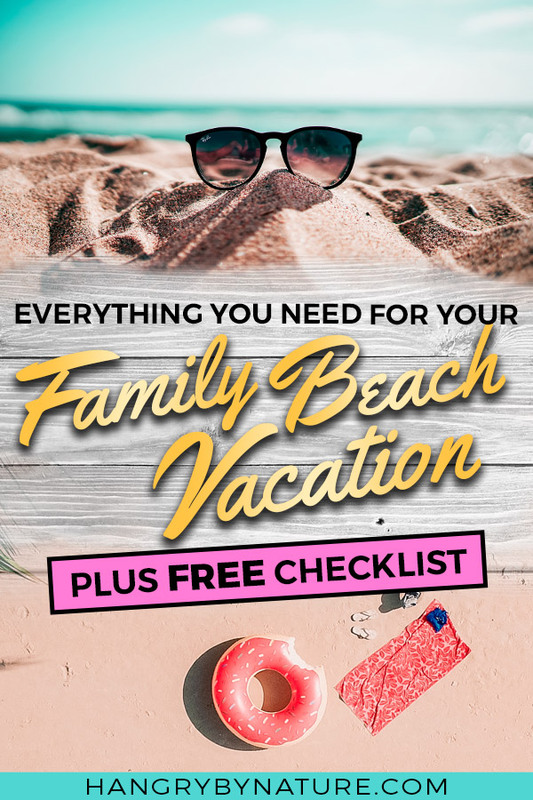 Just a small part, with the help of this family beach vacation packing list that you can use to prepare for your next beach vacay. More tips and essentials for travelling with kids? See below. My advice for parents travelling to hot destinations - pack less, do more laundry. It might even be worth getting this compact portable laundry system so that you can wash clothes wherever, whenever. We tend to stick to these essentials when we travel. Is it a towel? Is it a hoodie? Nope. It's a Swoodi. This 4-in-1 hooded towel for toddlers and kids is made of 100% pure genius. A beach robe, hooded swim towel, swim robe, and bathrobe fused into one chic-looking garment. Like, do your kids even need any other clothes? Apart from undies, no, probably not. 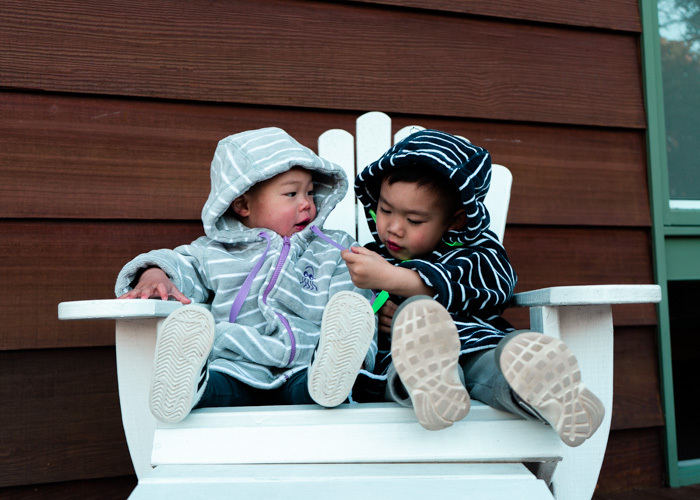 Zip 'em up and keep 'em warm after a cool dip in the pool or ocean, it's the perfect replacement for a towel. We even use the Swoodi Hooded Towel to keep the kiddos warm on chilly winter mornings or to keep them toasty warm after a bath. Not gonna lie - this is one item that I consider to be a kid and toddler travel essential and goes on every beach trip with us. Look, as much as babies and tots can get away with being nakers, it's still much more socially acceptable to have them don cute swimmers. Dinosaur swim shorts are always a hit with our boys, but if it was up to me, I'd be getting them into these trendy swimmers. Oh, and if we ever did have a girl (not likely considering my luck), I'd totally make her rock these funky, borderline psychedelic bathers. Kids and hats - a combo that doesn't tend to last very long. After most beach trips, we end up with a wet and soggy hat, which is why this waterproof bucket hat is perfect. Alternatively, this flappy sun hat is not only freakin' adorable, but it also offers all-around sun protection. Another one to tick off for your toddler travel checklist, because sometimes, a hat just doesn't do the entire job. These Wayfarer-style sunnies are our personal faves right now - they come in some seriously adorable patterns and eye-popping colours. Headed on a tropical holiday? You'll probably want the kiddos to slip into attire that matches the vibes. Little Yellow Cloud's collection featuring a pop of uplifting yellow tones are a must to add to your beach vacation packing list. 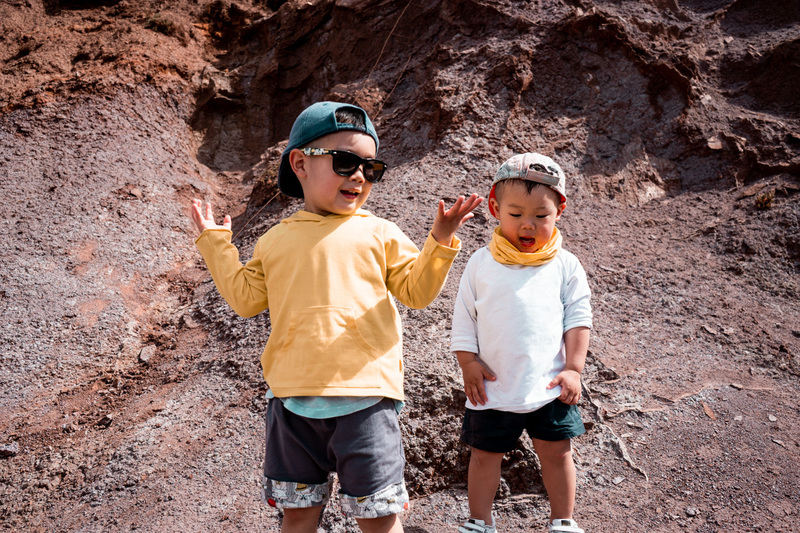 This boutique children's brand was founded in Melbourne, Australia, and will, without a doubt, inject joy and good vibrations wherever you're headed. 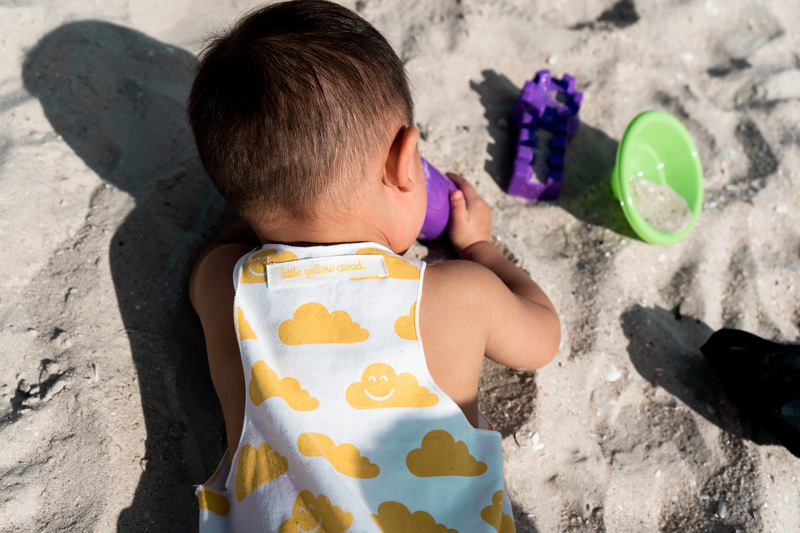 Made from GOTS certified organic cotton, the fabrics are soft as a baby's bottom and perfectly breathable for hot summer days. Note: Rocking these awesome pieces are guaranteed to rouse stares from strangers because the designs are just that adorable. You'll thank me later for reminding you to add this compact travel clothesline to your family vacation packing list. I've lost count of the times I hung washing over couches and TVs inside our Airbnbs. I don't know about you, but I was the kid at the beach who (almost) always emerged from the water with some kind of foot injury. If this is your kid (or he simply has a disdain for sand), then you might want to think about packing these bright and bubbly water shoes into your beach bag. I'm more of a backpack type of gal, and this one gives me all the feels of a tropical beach holiday. But, if you're more the type to carry a tote, this lightweight mesh one features handy pockets and plenty of space for towels. Let's face it - there's nothing, essentially, cool about a diaper bag. Most of them serve to hold diapers, baby items, probably a pair of smelly socks that one of the kiddos shoved inside without your knowledge. 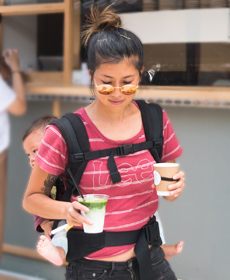 Well, at least until I came across the Puggle Baby Adventure Nappy Backpack that's on a whole other level of trendiness, or what some may call, 'on fleek'. And, on fleek it is, but not only that - it's also ridiculously functional and uber practical for everyday use. Plus, I can guarantee you that macho husbands and partners will be more than inclined to carry this diaper bag with pride and joy. Win. Featuring a clever lined middle section perfect for stuffing wet swimmers, a large back compartment with a 15-inch laptop pocket, a concealed valuables zippered pocket, a handy change mat, and a bottom segment for easy access to diapers and wipes - this is the all-purpose diaper backpack to add to your family vacation packing list that will give parents all the street swag. No one will guess it's a nappy bag. Ever. Look, not gonna lie. I used to low key diss people who pitched tents on the beach. Look at me now, filled with nothing but gratefulness for the invention of this cosy beach shade that prevents me and the fam from looking like a crab fresh out of boiling water. Forget wing floaties, they have a tendency to slip off (speaking from personal experience). 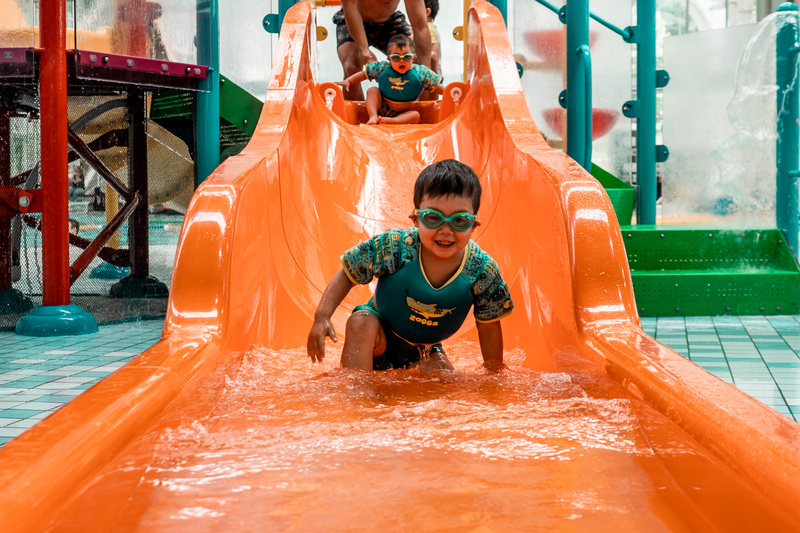 Our go-to for the beach or pool is Zoggs Water Wings Swimming Vest because, well, it stays on and is incredibly buoyant. Plus, it's not super bulky to carry around and it makes the boys feel like they've grown some serious muscle mass. As you can see, instant pecs and biceps. The 6-pack still requires a little work, but we'll get there. Don't forget to tick this off your beach vacation packing list - some places (ie. South East Asia) don't readily sell single-use swim diapers. Reusable swim diapers are light to transport and, more importantly, eco-friendly. If you're travelling to places where the sun is a source of danger *cough* Australia *cough*, then it would be wise to pack a rashguard swim shirt to help protect skin from the sun. Throw soiled diapers or wet swim gear into this funky-looking wet bag set - a baby holiday essential that's compact and easy to stuff into your diaper bag or beach tote. 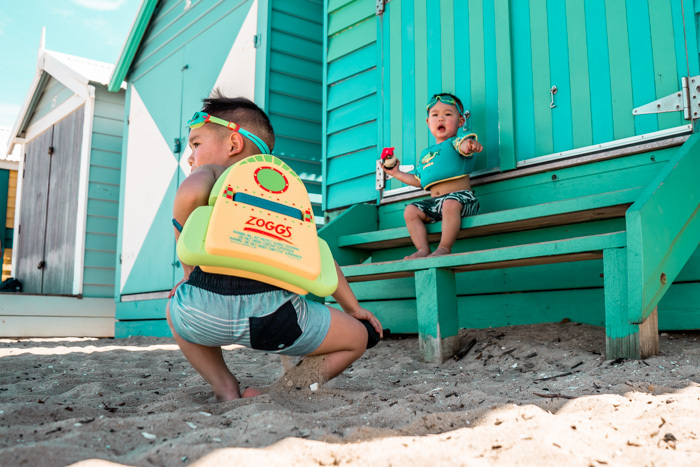 Beach or pool, we always pack our set of Zoggs Little Swirl Swim Goggles with us to avoid the notorious dry red eyes after a day splashing in the water. Plus, it helps the little ones find shells in the ocean (anything to keep them occupied, really). How is it that a pair of goggles makes kids a zillion times cuter? Why do we love these goggles? Well, for starters - they don't fog up thanks to Zoggs' Fogbuster technology (prevents parents from wiping them every other minute), plus they protect against harmful UV rays, and feature an adjustable nose bridge for a better fit on teeny little noses. Taking the kids snorkelling? You'll want to take a look at this list of essentials. What's the best way to protect your smartphone from sand, water and clumsy kids who have the tendency to spill everything within their reach? Ziploc Bags. These will be a lifesaver for your beach vacay. Trust me. You'll use more than you think. I'm sorry - what did you say? An even tan? I haven't had one since before my first little human was born. What even is an even tan? Most times, I'm the burnt lobster smearing all my kids and man-child in layers of sunscreen, all the while forgetting to slip, slip and slap on myself. 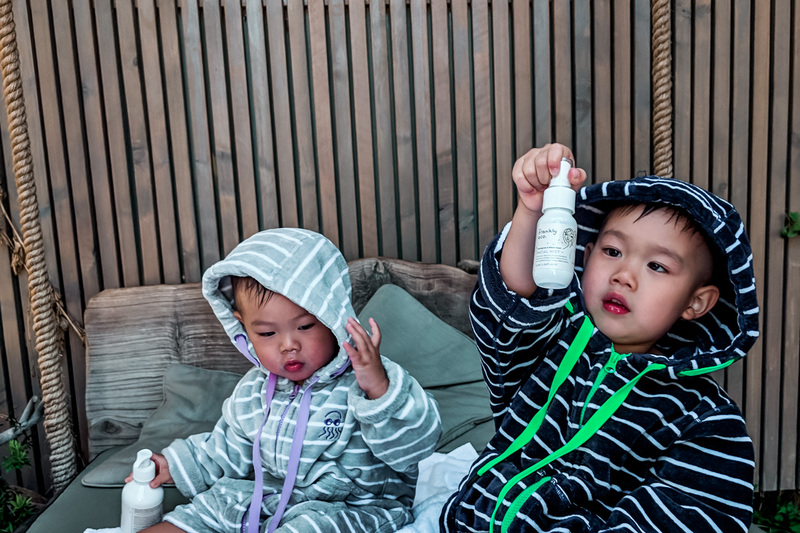 We pick our skincare carefully when it comes to our two eczema-afflicted boys and, well, myself. They inherited that from me - aren't they lucky? (Note sarcasm) Frankly Eco's all natural, plant-based, and cruelty-free skincare range is ideal for babies, kids, and adults who have sensitive, eczema-prone skin. The Facial Mist serves three great purposes for us - an afternoon pick-me-up for sleep deprived parents, a moisture boost rejuvenator after the beach, and, get this - an insect repellant. That's right, a feature ingredient of this bad boy is lemongrass, and you guessed it - creepy crawlies and annoying mozzies sure hate that scent. Flo hinting that it's time for a 4pm facial mist rejuvenation. Spray up! Some of the other Frankly Eco skincare products we add to our family beach vacation packing list are the Baby Bum Cream for dribble and diaper rash outbreaks, Baby Body & Hair Wash, and Body Balm which helps soothe and repair skin after a crispy day under the blazing sun. As mentioned earlier, I seem to always be the victim on the beach with a cut up foot. 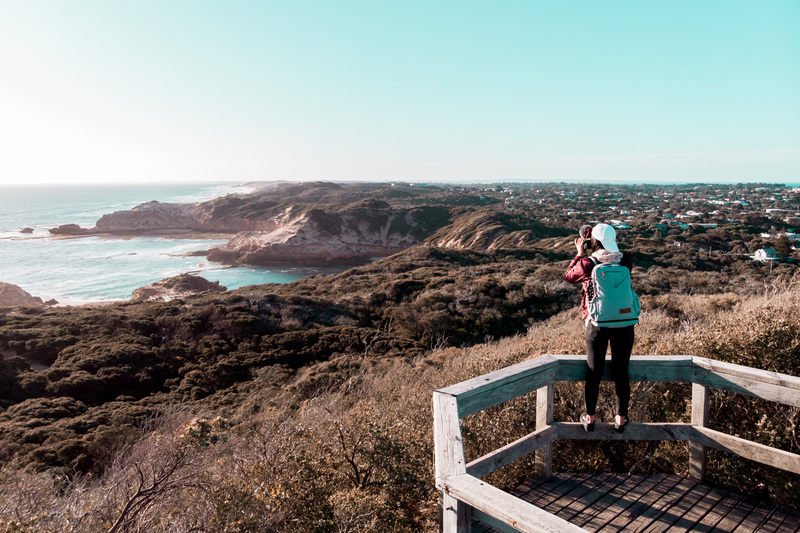 Make sure you include a Travel First Aid Kit on your beach vacation checklist - this one contains all the essentials and fits snugly into any beach bag. 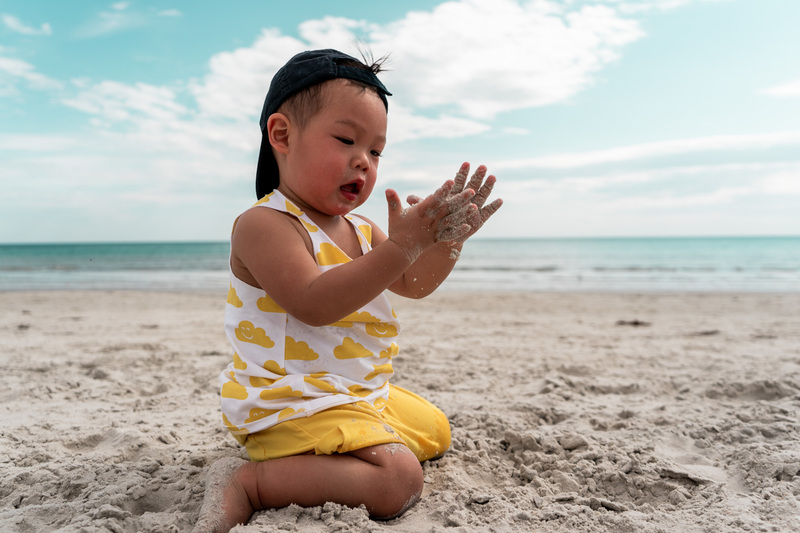 Yes, I'm Captain Obvious right now, but believe me when I say that sunscreen is almost always more expensive overseas, so do pack your own.We love to use this sensitive skin family size sunblock because it's safe to use on babies. Lips can get burnt, too - just ask mine. I have Burt's Bees All-Weather SPF 15 moisturising lip balm lying around everywhere when I don't need them. When I need them, I can't find a single one. Go figure. Because, as much as you try to shade and protect the fam from the searing sun - sunburn is inevitable on a beach vacation. Pack Aloe Vera Gel - everyone's skin will thank you for it. Plus, it can sometimes be more expensive to buy in other countries. A beach baby holiday essential, because baby powder actually helps get all that sticky sand off your skin. Yeah, that annoying, messy sand that you pretty much find in all cracks and crevices on your kids (and yourself). We usually use a cheaper variety of baby powder for this very purpose. Don't forget these 'not-entirely-necessary-but-necessary-for-your-sanity' items on your holiday checklist for families. Albeit, not life or death if you don't bring one or the other, I can, however, guarantee that it will increase the quality of your 'beach vacay'. Just a wee bit. What do you get when you combine a kickboard and backfloat? Why, the Zoggs Jet Pack, of course. This clever swim aid provides extra buoyancy when the kickboard is inserted between the yellow floats. 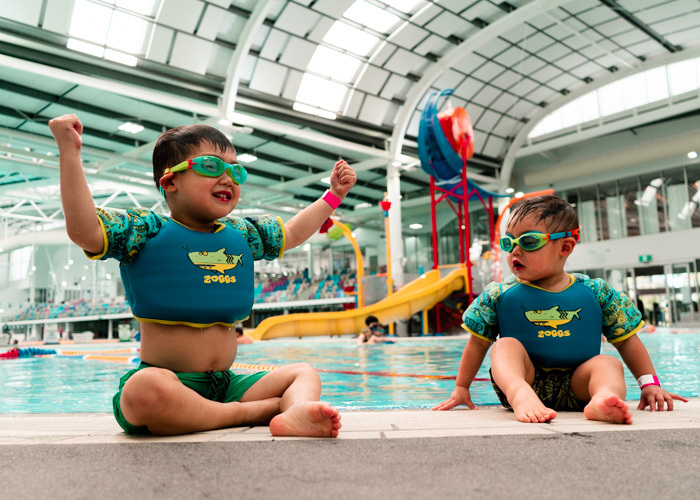 As your little one's confidence grows in the water, simply remove the kickboard to reduce buoyancy, which allows kids to swim more independently as their kicking technique improves. Pretty nifty, huh? It ain't a party on the beach until you drop some tunes (in the case of parents - nursery rhymes). We take our JBL Portable Bluetooth Speaker on every trip - it's waterproof, emits crisp sound, and supports up to 12 hours of playtime. Yay, all the nursery rhymes. No doubt, an adult and toddler holiday essential, because, umm.. Who doesn't want to drift into the horizon atop a unicorn? Or, ride on an inflatable bull? Or, maybe this simple comfy lounge will make do. Capture all the wet 'n' wild moments of your family beach vacation underwater, over water, or in action with one of our favourite cameras right now - the GoPro HERO7. If you can't relax on a holiday with kids, you may as well record all the fun. You definitely don't want to forget a portable smartphone and tablet charger on your beach vacation checklist, especially if you're out and about the entire day. Kids are always hungry. Parents are, also, constantly hungry because half of our time is spent running after said kids. It's a vicious cycle, really. So, remember to pack all the snacks. Or better yet, a Cooler Backpack. 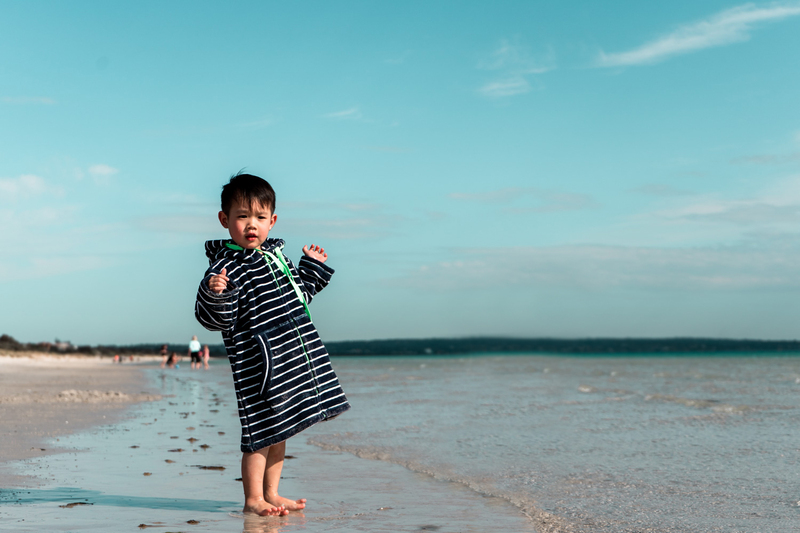 We all know how full our hands already are balancing wriggly kids, a beach bag, tent, and other items that you'd typically lug down to the beach. But, if beach backpacks aren't your thang, then this Collapsible Tote Cooler is also a great option. In this day and age, it's all about compartments, which is why this Bento Lunch Box is super handy, holding everything from salads to pasta and snacks - it even has a thermos insert, meaning that it'll keep food warm while you're out and about. Drinking sun-heated water on a hot day at the beach? No, thanks. Don't forget to pack an insulated water bottle for the kiddos when you're travelling to warm countries - keeps drinks icy cold for hours. 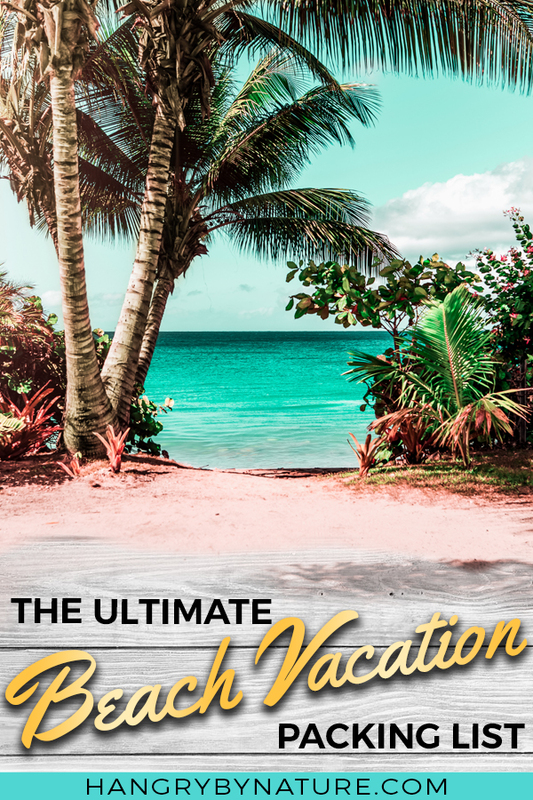 Download and print our Beach Vacation Packing List to stay on top of everything that you need to bring for yourself and the kids on a tropical beach holiday. What do we pack for our trips? Here's everything we pack into our suitcase. What's your favourite type of family holiday - tropical getaway, city escape or mountain hideout? Tell us in the comments below.